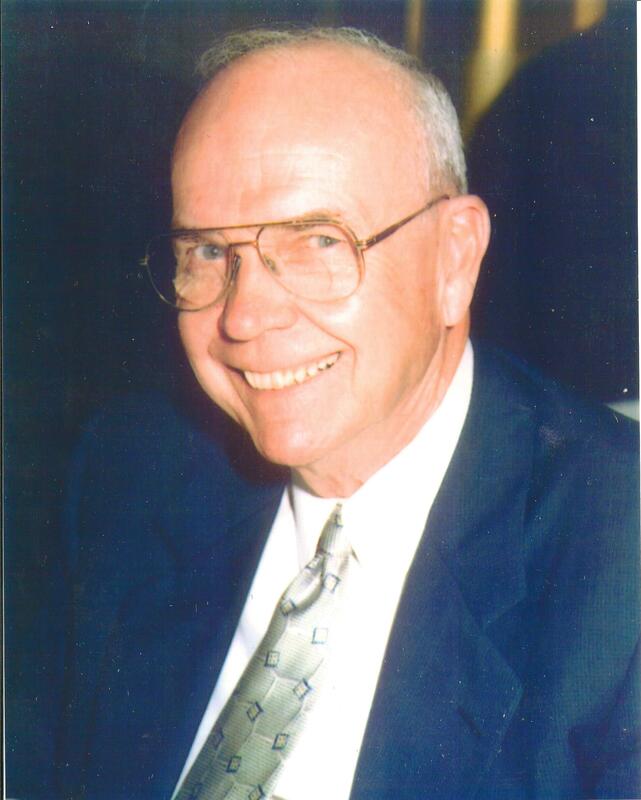 Donald Horton Tennent, loving husband of Helen Standard Tennent, passed away on April 22, 2002 at the age of 78. He is also survived by his four sons, Donald Tennent and wife, Nancy Kirkwood, William Tennent, James Tennent and wife, Pamela, Edward Tennent; and four grandchildren, Jimmy, Jennifer, Drew and Hannah. He was born May 2, 1923, grew up in New York, and joined the U.S. Army Air Force on December 9, 1942. 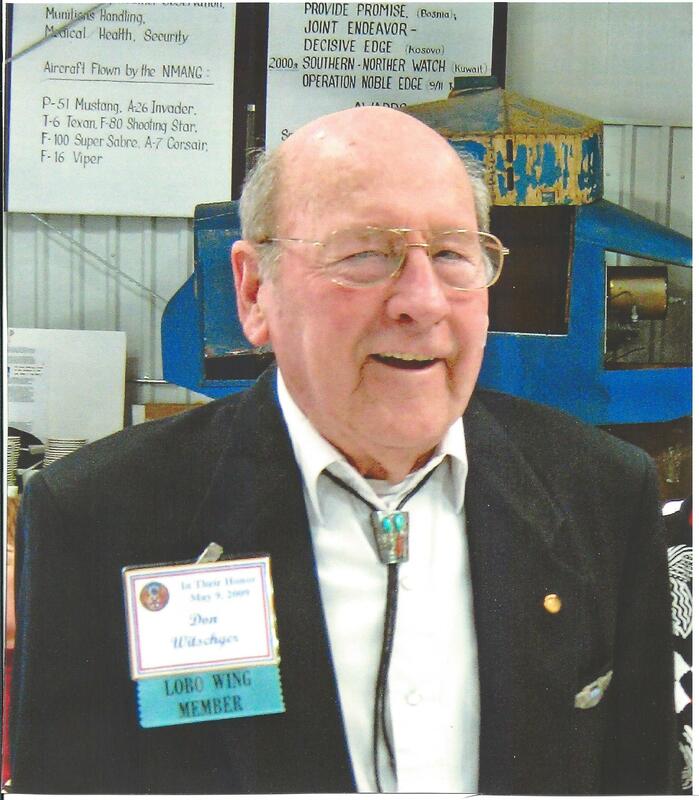 He served as a B24 pilot in the China-Burma theater during World War II. He retired from the Air Force in 1962 and flew civilian aircraft in Hawaii. Later in his career he worked for H&R Block and for the IRS in New Mexico, retiring from the IRS in 1993. He was a member of the Commemorative Air Force, 7th Bomber Group, Experimental Aircraft Association, American Legion, Elks and Quiet Birdmen. Theodore George Gaiser (Ted) beloved husband, father, papa, brother, uncle, and friend, passed away Saturday, January 28, 2006, at his home after a hard-fought battle with cancer. He never allowed his illness to conquer his loving, playful spirit or prevent him from recognizing each day as a treasure. Ted was born in Texas on November 22, 1957, to Thomas Martin and Mary Ellen Gaiser and lived most of his life in Albuquerque. He leaves behind his mother, Mary; the love of his life, wife, Sandy; son, Heath and wife, Rachel; daughter, Audra; granddaughter, Aubrey; sisters, Tina and Anastasia; brothers, Tom, Tim, and Terry; numerous nieces, nephews, uncles, aunts, brothers- and sisters-in-law; and because he never met a stranger, a diverse group of friends who love him like a brother. 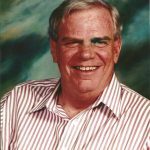 Ted was a skilled and conscientious craftsman in a variety of trades including home improvement, construction, steel-working and most recently, planner for Rocky Mountain Stone. A charismatic man of contrasts, with his long red beard, waist-length braid and Viking warrior demeanor, Ted was well suited for his nicknames: Terrible Ted and Vanilla Gorilla. But Ted was also affectionately known as Papa Ted and kindhearted Teddy. He was a man of great charm and tenderness with an undying devotion to his family and friends. Ted was renowned for his twisted and very unpredictable sense of humor that assured laughter wherever he went and sustained those who cared for him in his illness. Multi-talented, resourceful, intelligent, and highly creative, Ted was a fixer of all things broken and collector of all things unique. If there was a lifetime achievement award for Grateful Dead devotee, Ted qualified. He and Sandy met at a Grateful Dead concert and they loved traveling the country to listen to the Dead and other bands. In addition to his love of music and traveling, Ted was an expert on World War II history, old movies and vintage cars. Lawrence D. Platania died on Thursday, March 1, 2007. He was born on July 28, 1921 in New York, a son of Sebastiano and Giovanna Platania. He married Mary Tavaglione on January 10, 1943. She predeceased him in 1978, also daughter Jody predeceased him on May 5, 1960. 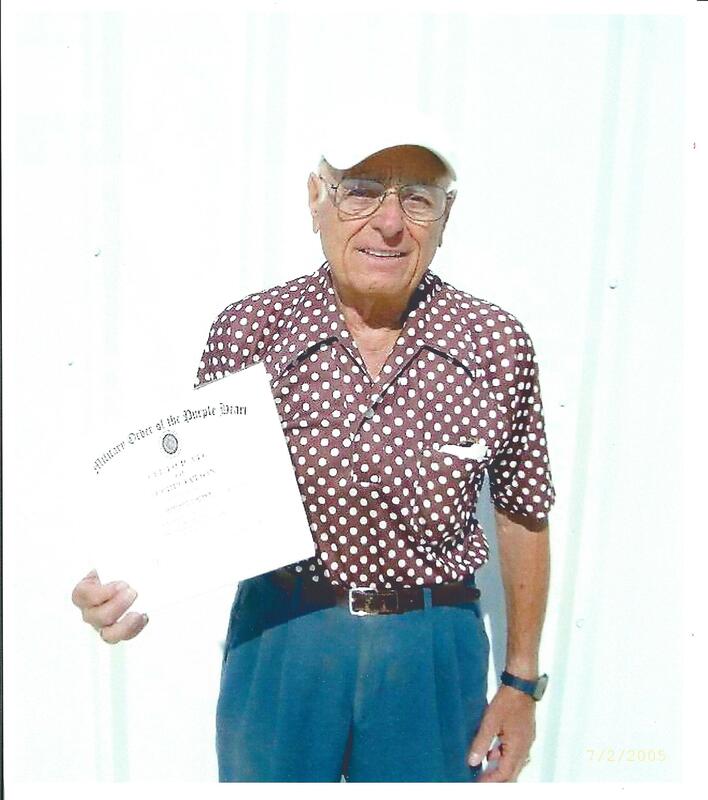 Mr. Platania was an Aeronautical Engineer who served in the US Coast Guard and US Army. He was wounded at the Battle of the Bulge and also in Germany, and received two Purple Hearts, The Bronze Star, and the Combat Infantry Badge. He is a member of the Military Order of the Purple Heart, Commemorative Air Force, Holy Name Society, and American Legion Post #99. Survivors include his Son, Ben and Wife, Carol Platania of Albuquerque; grandchildren; Lawrence, Logan, Christian, Adam, Alycia, Symone, and Damian, and two great grandchildren; Destany, and Dominic. Also surviving is one sister; Angela Laterza, New York, along with his loving nieces and nephews. He was preceded in death by two sisters; Santa, and Nancy. Herbert M. Poynter, Lt. Col. U.S.A.F (Ret. 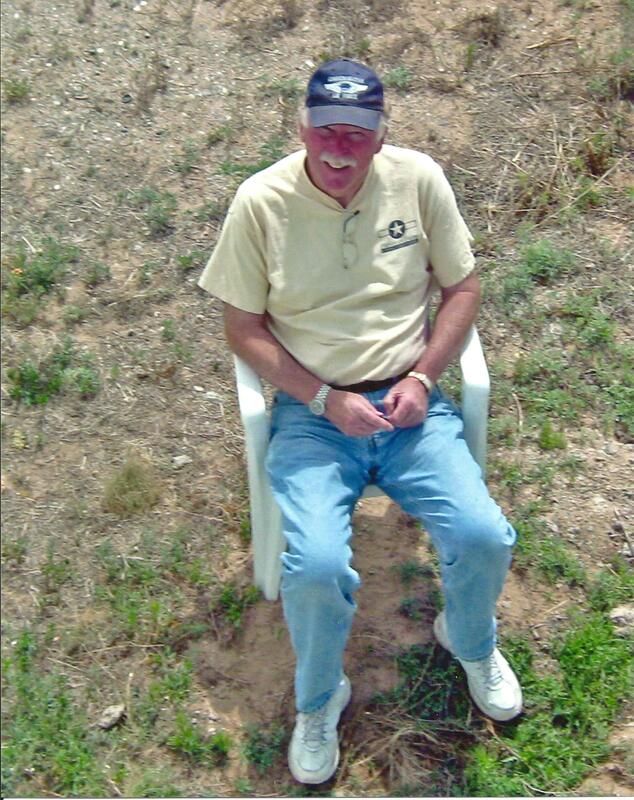 ), of Albuquerque passed away peacefully on Friday, March 7, 2008, at a local hospital. He was born on January 16, 1929, in Clarksburg, WV, to Henson and Nellie Poynter. He married Retha Savage on September 23, 1950, in Clarksburg, WV. She preceded him in death on March 9, 1996, after 45 years of marriage. 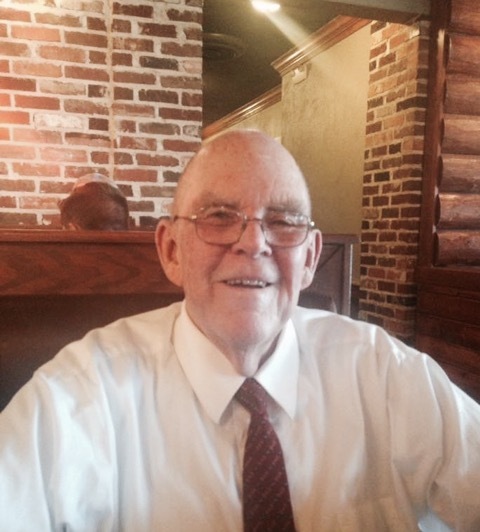 Mr. Poynter was a pilot and instructor during the Korean Conflict and The Vietnam War. 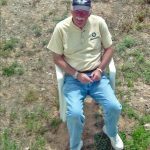 He was stationed with Strategic Air Command Headquarters, Omaha, NE, where he retired after 23 years of devoted service to his country then located to Albuquerque in 1977 as the franchisee of Godfather’s Pizza in New Mexico and West Texas. During his retirement, he returned to his passion of flight and founded the Lobo Squadron of the Commemorative Air Force in Albuquerque. Surviving is his second wife, Ann Bazan Poynter, of Albuquerque whom he married on August 2, 1997. Also surviving are his daughters, Teresa A. Vierregger and her husband, Roger, of Springfield, NE, Susan A. Meline and her husband, Mike, of Albuquerque; sons, Steven G. Poynter and his wife, Kim, of Albuquerque, Gregory A. Poynter and his wife, Vicky, of Livingston, TX; grandchildren, Mikayla Vierregger and Alyssa Vierregger, Madeline Settle and Cameron Settle, Grant Meline, Jason Poynter, Chrissy Poynter, Angie Poynter, Cede Lindley and Ryne Lindley; brother, Robert Poynter and his wife, Ellen, of Pensacola, FL; as well a numerous friends and family. He was preceded in death by his sister, Madeline Poynter; brothers, Noel and Drexel Poynter. 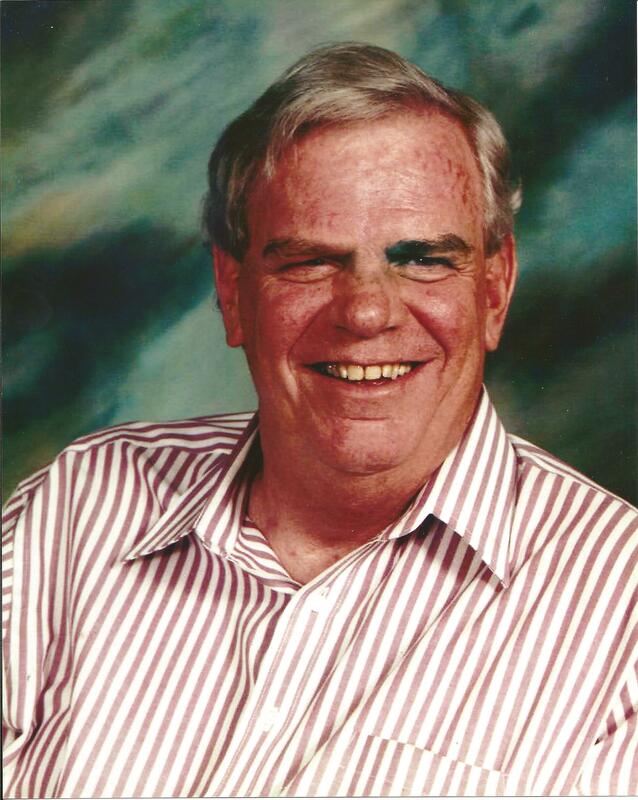 Scott L. Chamier passed away on September 3, 2009. Scott was born on October 19, 1929 in Patchogue NY. He joined the Army Air Force in 1951. He was honorably discharged as a Major. Scott married Joan (Cinquemani). They recently celebrated 51 years of marriage. Scott was a Captain with American Airlines. Fourteen years ago Scott and Joan retired to Placitas, New Mexico. 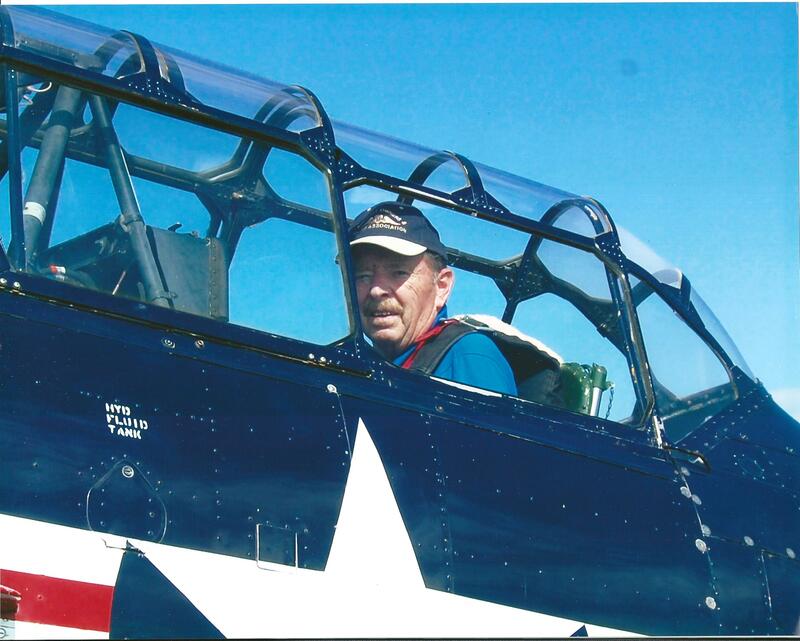 Scott was active in the local Pilots Club, American Airlines Grey Eagles and the Commemorative Air Force. Scott is survived by his wife Joan, sons Colin, NY; Craig, OH; daughters Aimee Gremmo, NY; Courtenay (Laszlo Sandor), CA; ten grandchildren; and sister Claire Gutman, NY. He was preceded in death by his parents and his brother, Edward. Capt. 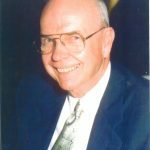 (Ret) Walter T. Jackson, age 78, an Albuquerque resident since 1976, died peacefully at home Monday, December 12, 2016 surrounded by his family. 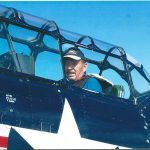 Walt was devoted to the Tridentine Latin Mass at San Ignacio Catholic Church for over 20 years and was a lifetime member of the Commemorative Air Force Lobo Wing. He was an avid Boston sports fan and loved his cross-country road trips to New England and numerous military museums. He is preceded in death by his beloved wife of 42 years, Audrey; sisters, June and Dorothy; and grandson Jared. He is survived by his sister, Evalyn; daughters, Shari and husband, Webster, Kimberly, Teri and husband, Rob, and Stephanie; son, Walter and wife Julia; 22 grandchildren; seven great-grandchildren; and numerous nieces and nephews. Known as “Pops” to everyone, he will be greatly missed. Clay O. 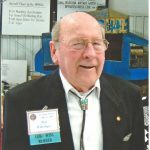 Keen was born in Magdalena, NM in 1923 and passed away May 11, 2017. During his childhood he spent winters with his mother in Amarillo and summers with his father in Magdalena, NM. He worked as a bellboy and a ticket seller at the local theatre. After graduating from High School he attended trade school to learn sheet metal work, machine shop and rock masonry. 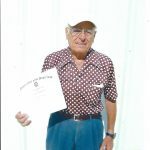 In 1941 he moved to Albuquerque and worked at the Air Depot Training station as a draftsman and attended night school at University of New Mexico studying Mechanical Engineering.He proudly served in the Army Air Corps, the Air Force and the New Mexico Air National Guard, as a founding member, for a combined 32 years. He flew missions in WWII, China, Burma, India Theater and Korea. During his years of service he piloted 32 different planes; the P-38, P-51, F-86 and F-100 were a few of his favorites.At 19, in 1942, Clay wanted to enlist, yet was under weight. He ate 6 pounds of bananas on his way to Santa Fe for the physical to gain the 2 pounds necessary to meet the 130 lb. requirement to go on Active Duty.After flight training he was off to serve with the 10th Air Force, 33rd and 58th Fighter Groups in 1944. He flew in Karachi, followed by Northeast India then onto Burma; flying 75 missions in India in the P-38 then 100+ hours combat time in the C-46 from Chittagong, India hauling ammunition, gasoline, etc., into Mandalay and Meiktila area, Burma. He was released from Active Duty in November 1946 and returned to Albuquerque to again attend the University of New Mexico. 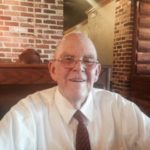 He joined the NM Air National Guard in 1947 and remained in Albuquerque until he was called back to Active Duty in January of 1951. He was assigned to the 34th Air Division at KAFB. During this time in Albuquerque he met and married the love of his life, Ruth. Their honeymoon was a trip to California where Clay was off to Korea; spending 23 Days on a carrier carrying F-86’s. He flew 100 missions over North Korea according to the records, yet he relates he flew 101 missions “because I could”. He also flew a bunch of support missions in the C-47 and AT-6, with the 5th Air Force, 4th and 336th Fighter Groups and the Goon to Iwo Jima. 1952 saw him back in the States for AT-6 Instructor School and T-33 upgrading, after which he was again released from Active Duty. In October he became the 188th Air Tech Maintenance Officer with the NMANG. In 1957 he went part time with the ANG and worked for the new Airport Paradise Hills where he was a flight instructor. In October that year he was in a plane crash in Salida, CO sustaining burns which kept him hospitalized for a few months. He returned to the NMANG in 1958 as a maintenance officer until he became the Commander of the 188th Flight Squadron which became the 150th Fighter Group. In 1961 he became the Chief of Staff of the NM Air Guard. From there he was assigned to the National Guard Bureau at the Pentagon until 1964. He then went on to the Air War College in Maxwell, AL for a year during which time he received the rank of Colonel; after which he returned briefly to the NMANG in Santa Fe, NM. He then served as the Air Guard Liaison Officer to Air Defense Command in Colorado Springs until his retirement in 1974. He moved back to Albuquerque in 1976 to care for his stepfather, Brad, after the death of his mother. Still wanting to fly he worked transporting patients with the Southwest Med Air Transport, Wings of Angels, Turbine Air Charter and Seven Bar Flying service until age 70. His love of flying didn’t stop there. He was very involved with the Commemorative Air Force and their rebuilding of the PT26 and the AT11, also serving as Lobo Wing Commander. He also owned an Ercoupe, which he flew for many years. Beyond his love of flying he was interested in politics, collecting cars and land, as well as preserving family & aviation history. 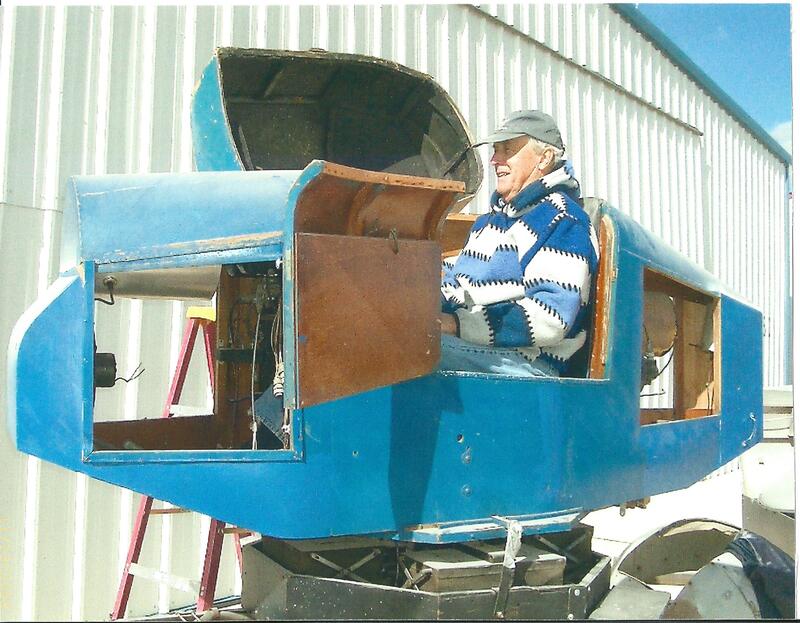 He was instrumental in rescuing and preserving 3 planes which now reside in Museums. He was active with the EAA, CBI, Daedalians and QB’s. He is predeceased by his mother, Winnie Jo; his father, Oval; his stepfather Brad; his ex-wife Ruth; and his son, Clay “C.O.” He is survived by his daughter, Deborah; son, Cliff; and 3 grandchildren: Derek, Adam and Alyson. Clay was a loving father, grandfather, friend, aviator and patriot. There was a short graveside tribute with Military Honors at 1:00 PM on Saturday, June 24 at the Fairview Memorial Park (700 Yale Blvd SE) which was followed by a Memorial Reception at 2:00 PM with a pictorial history, stories, music and food at the National Museum of Nuclear Science and History (601 Eubank SE). John T. Reeves of Grand Rapids, Mi., age 93, passed away on Saturday, July 22, 2017 of pneumonia. John was born in the spring of 1924 in Lawrence, Mi. He graduated from Paw Paw High School.John served as an Army Air Force B-24 bomber pilot in the Pacific Theater during WWII and received the Distinguished Flying Cross. He graduated from the University of Michigan and worked as an aerospace engineer. He was survived by his wife of 32 years, Ila “Tudy” Reeves, son Jim (Kathy) Reeves, daughter Jodi Reeves, granddaughters Hope and Faith Reeves, stepson Clark (Helen) Rolf and several nephews and nieces. John was preceded in death by first wife Jo Anne Reeves, parents Louis O. and Mabel Reeves, and sisters Margaret Ann and Jeanne.John was devoted to good music, bad puns, gardening, cats, repairing things, WWII history (especially relating to airplanes) and giving loving guidance and strength to his family. He had a great sense of humor. He was a member of St. Luke’s Lutheran Church, the CAF, the Cantata Choir and other groups. A visitation was held Sunday, July 30, 2017 from 11 AM to 1 PM at St. Luke’s Lutheran Church, 3215 4 Mile Rd NE, Grand Rapids, Mi. The memorial service with military honors was held Monday, July 31 at 11 AM at St. Luke’s with an additional hour of visitation prior to the service. John was interred at Union Cemetery near Berrien Center. Jim was a long time member who dedicated his time in the CAF to finishing the restoration of the PT-26. Without his efforts some would say the PT-26 restoration would have languished for some time. He was a very demanding maintenance officer. After it was completed Jim was the chief pilot and instructor for the PT-26, checking out all the pilots.Jim was also a proud USAF veteran who flew P-51s, F-86s (two ejections) and the C-123 in Vietnam. After retiring Jim stayed active in the local aviation community flying various aircraft. He was a very talented and demanding pilot and instructor who had very high standards. 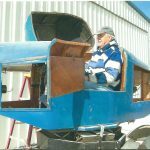 Jim also continued to be very active in the Radio Controlled aircraft community and was in the process of building a new plane when he passed. Jim was predeceased by his wife, Gerry, in December 2017. For those of us who knew Jim, he will be missed.